As well as supplying and installing brand name servers Only IT have vast experience of building custom-made servers for our clients. Our servers can run Windows Server 2003 and 2008 or any Linux variation your require. 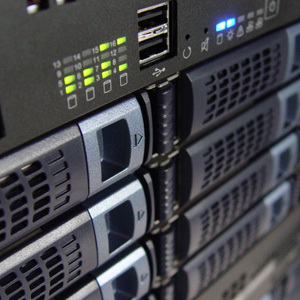 Hardware RAID allows for fast data access, ideal for databases, virtulisation and mail servers. We cater for all needs, whether a client requires high speed, increased memory or huge capacity. Your custom server will be designed with your specific requirements in mind. You demand high performance from your server. You have a large database that would require fast hardware to support it. Your current server is no longer sufficient for your growing business. If you already have a server, quite often a full service can dramatically increase the speed of your existing equipment, saving you money. Please contact us to find out how affordable our custom servers are and how they can help your business.